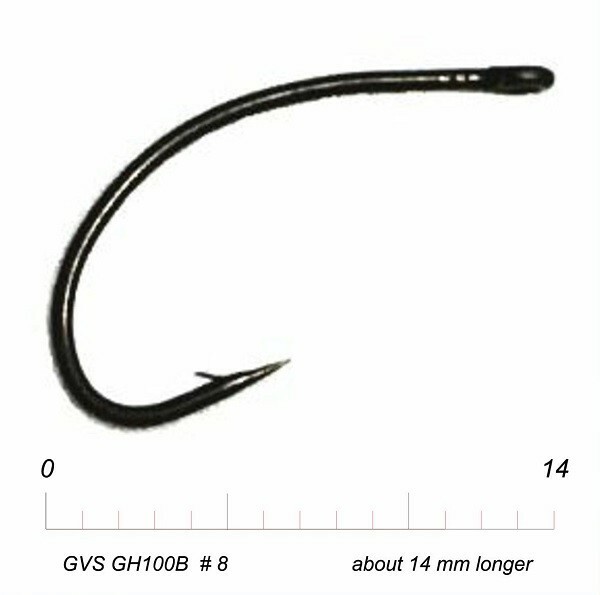 GH100B Fly Hooks are a new type of hooks selected by GVS, which are very useful to make Mayflies, Pupae of Caddisfly, Gammarus and Fly Larvae. These Hooks are made and designed to hold the fish in the best possible way throughout the period of catching it. The sharp and slightly bent tip warrants the holding of the fish from its catching until taking it out from the rod.